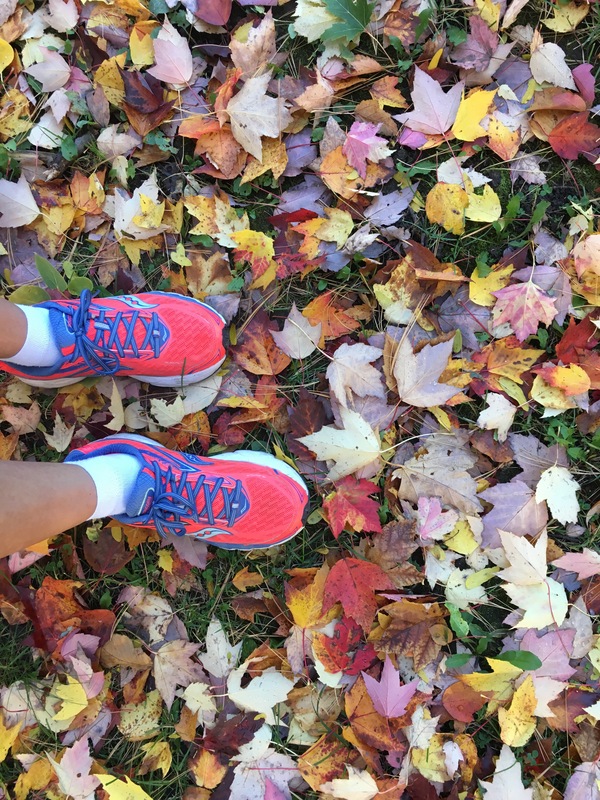 runners – Pump Those Crazy Legs! On my run this morning I decided to go on a little adventure through Blackburn Hamlet, which is where I grew up. 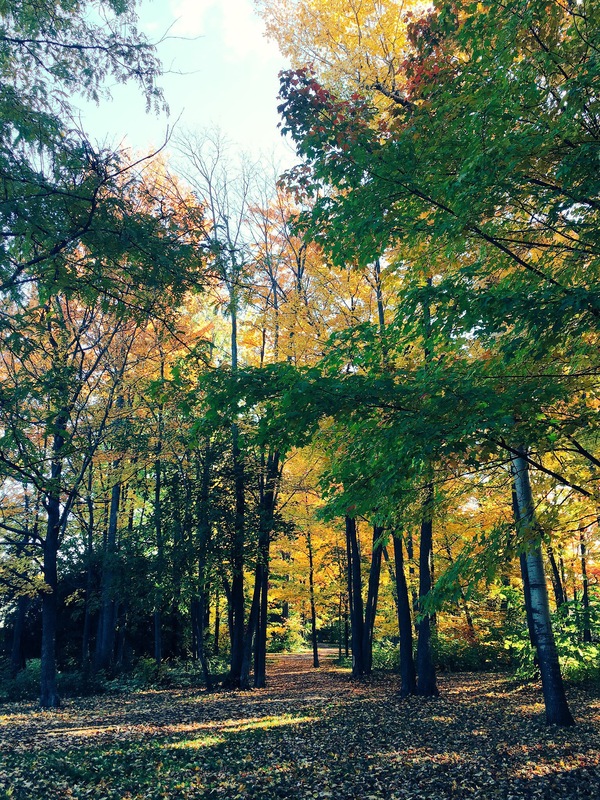 They have lots of nature trails through parks that are beautiful this time of year. The weather was just perfect to get a long run in too, so I set out with no particular route or distance in mind. During this run, I couldn’t help but think of all the inspiring runners that have helped get me to where I am today. 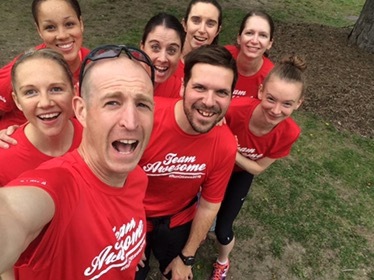 Being accepted into Run Ottawa’s Team Awesome for Tamarack Ottawa Race Weekend 2016 gave me the opportunity to get to know many great runners that inspire me daily with their posts and enthusiasm! I would never be as motivated to push myself to do more if it weren’t for this group of people. They are amazing, not only during races but in their daily runs as well. Looking at Ashley’s Instagram will make you want to go running RIGHT NOW. Every day. Always. Her running routes are beautiful, she covers such great distances, and she is just so fast and enthusiastic and graceful! Jayme’s blog will sweep you up in the excitement of qualifying for The Boston Marathon. You will want to do it too! And her posts will encourage you to reach your dream goals. Her strength, dedication and passion for running is just awe-inspiring. On that note, following Leanne’s blog as she prepares for once-in-a-lifetime expeditions into ultra marathons goes to show all the great places you can venture into, and that the possibilities for challenging yourself as a runner are endless. Noel is mind-blowing as a runner too. I never knew human legs were capable of going as fast as his! He has been passionate about running all his life and is truly an elite! Following Noel’s Twitter will keep you up to date on all the latest running news, articles, and products as well as his adventures now as a ‘Running Dad’. I love reading Rebecca’s blog too. She’s done races of all distances and also coaches track at school. Her posts provide wonderful insight on her experiences as a runner – I particularly love reading about all the races she’s completed and live vicariously through her experiences. I could go on! Suffice it to say, I am so pleased with my experience as a member of Team Awesome this year, the new friends I’ve made, and how much it has shaped me as a runner. And right now until this Friday the 21st, Run Ottawa is accepting new applications for the 2017 edition of Team Awesome! So I just had to share. If you’re into running and would enjoy meeting other passionate runners, you should give it a try! 2017 is going to be a big year in the capital as well, in celebration of Canada’s 150th anniversary, so I have a feeling this year will be like no other!